Head of the Paediatric Oncology Unit of the Korle-Bu Teaching Hospital (KBTH), Prof. Lorna Awo Renner, has appealed for financial support to fight childhood cancers. According to her, the cost involved in seeking treatment for a child with cancer has not only left some families bankrupt but some have lost their assets, while others have gone deeper into poverty. “No family should ever have to choose between putting food on the table, sending a child to school or seeking treatment for a child with cancer. Unfortunately, because of the catastrophic cost of childhood cancer treatment and medicines, these are the choice families with children with cancer have to make in lower middle income countries like Ghana,” she opined. Prof. Lorna Awo Renner observed that while the country records about 1,000 childhood cancer cases annually, 70 per cent of such children do not have access to treatment because there are only two comprehensive treatment centres in the country besides parents’ inability to pay for the cost of treatment at those facilities. The sad thing, Prof. Renner observed, is that about 80 per cent of children with cancer can be cured and live productive lives if they get access to treatment. Prof. Renner was speaking at the launch of the Lifeline for Childhood Cancer in Ghana (LCCG), a non-governmental organisation with the vision of ensuring that every child with cancer, no matter where they live in Ghana, will get the treatment that they need to achieve a cure and that their families will get the support, both financially and emotionally, that they need for timely diagnosis and treatment. “Our mission is to optimise access to the best possible care for all children affected by cancer in Ghana, ensuring that no such child suffers needlessly,” she indicated. Giving an example of a typical case of childhood cancer, Prof. Renner said a boy from the north of Ghana was referred to KBTH with a swelling right eye, which was diagnosed as retinoblastoma. 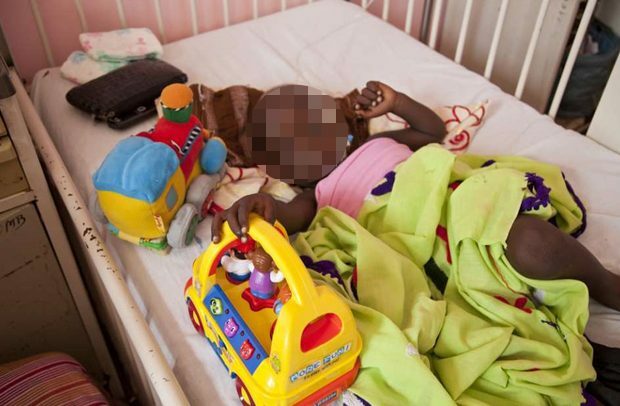 “His family had the health insurance and GH¢1000 but the treatment totalled GH¢6,700, excluding costs covered by NHIS and other living expenses,” she added. She, therefore, advocated for the Health Insurance Scheme to (NHIA) to lift the financial burden off parents and save the children from dying. “At least, some of the selected childhood cancers that are quite curable should be added to the NHIS list so I passionately appeal to policymakers to take steps to do this,” she said. She also called for the National Cancers Strategy (NCS) that was launched in 2015 to be implemented to give the right direction for the treatment of all forms of cancers. Prof. Renner pointed out that the implementation of the NCS would help to build the capacity of health professionals and increase access to cancer treatment across the country. The Chairman of the LCCG Board of Trustees, Dr. William Panford Bran, called for a holistic approach and support to comprehensively treat childhood cancers. “I want to call on all individuals, organisations and stakeholders to join this initiative so that we can give a lifeline to children,” he added. Dr. William Panford Bran emphasized the need for awareness creation, early diagnosis and access to treatment as the way forward to dealing with childhood cancer.